A few weeks ago, I wrote a post about Arturia stepping up their game recently and revamping their line of softsynths into the new 64-bit future, meaning they'll run better on newer machines that have 64-bit processing. Since this blog has been around for only a year, this offers me a unique opportunity to revisit some of their older plugins. 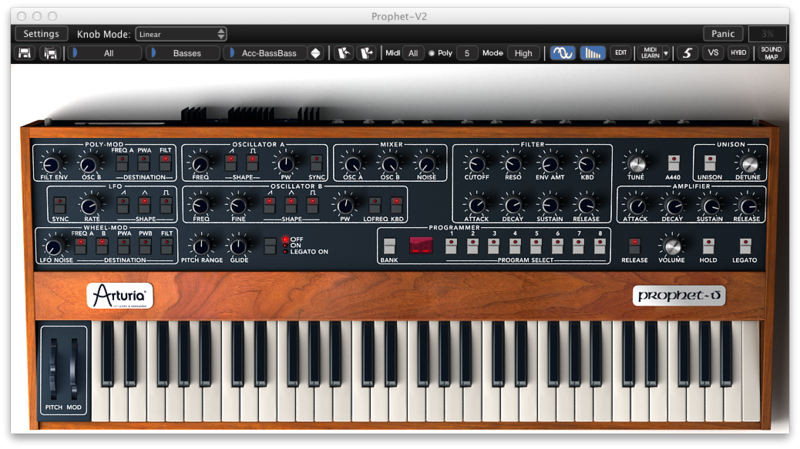 I was given 3 for review, and the first one I'll be talking about is the classic Prophet-V2 plugin, based on the Sequential Circuits Prophet 5. If you don't know, the Prophet 5 is a classic. It's been incredibly popular since its release in 1978, and was a huge step forward for synthesizer technology, being one of the first to have patch memory and polyphonic sound -- hence the "5", for the 5 voices, in the name. The synthesizer has been used by so many greats-- off the top of my head, Phil Collins-- that its status as legend has propelled its price point up into the thousands range. Enter Arturia, who take classic and convert them to code so the average musician can enjoy and perform with the sounds of the legends. 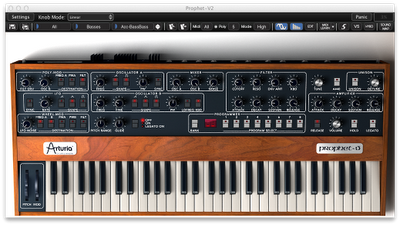 When you open Prophet-V2, you'll notice it looks almost exactly like the original synth did, save for some extra parameters added accross the top menu bar, and some other bonus features I'll get into later. I really love this idea (and I think every classic synth plugin should copy its' namesake's interface, save for some like the DX7) because it forces you to think as if you were using the real machine, and usually these layouts were well thought out-- especially in the case of the Prophet, which in my opinion, has an excellent and clear layout of moving left to right to alter the sound. What you have in front of you, on your screen at least, is exactly what Phil Collins (I suppose I'll just keep on the Collins theme from here on out) had in front of him to make his classic tracks like "In the Air Tonight". And that's pretty darn cool. You're getting the same experience digitally that you would get from its analog (accidental pun). Could you get different sounds out of it if it were set up like some other crazy programs we have today? Absolutely. This could look just like Massive or something if it needed to. But it's all your preference-- and I strongly prefer something like this, where it's only one page and looks like hardware, and there's no fancy tricks to the routing. I have to make note of the presets on this plugin as well-- there are plenty, and they sound damn good. Too many times do you get a selection of presets that try to show a wide range of the synth but miss out on the classic, most-used sounds, but the Prophet-V2 has them-- those warm, 80s basses, lush "Africa"-like brasses, and the fat strings-- in addition to the original factory patches. It allows me as a user to immediately sit down and appreciate the tonal quality that I bought it for. I wish more synth companies would keep in mind that many of us love retro sounds, and we're not looking for all new, complex sequences-- there's certainly a happy medium between the two. The tone of this plugin is great. 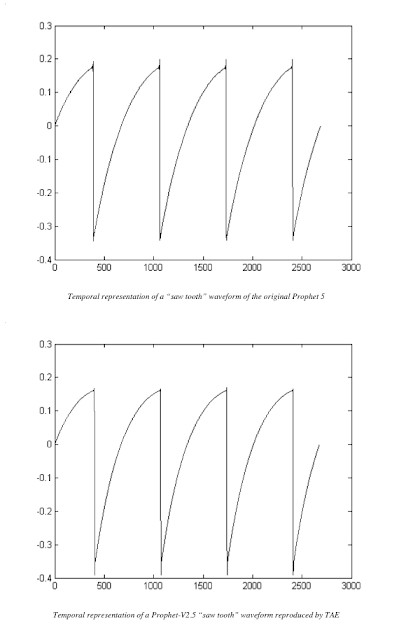 I could write a whole long post on the true difference between analog and digital, but that wouldn't serve any purpose-- you pretty much should know where you sit in all this. I think the Prophet-V2 is at the point where you could slip it in a big mix and lie to someone and say you have the real deal. Would it hold up in a one on one test? Probably not, you would be able to pick out the real thing. But that doesn't mean this plugin isn't absolutely great. It certainly carries the essence of its name, and that's why I enjoy it so much. Speaking particularly about the presets, my particular favorite have been the basses. They're incredibly retro and sound just like the 80s. They have that warm feel to them, as you'd expect with the original Prophet. The pads evoke Phil Collins, Toto, and Peter Gabriel. There's also a selection of chorusing and delay to add to your sounds, so you can fatten them up or make them fuller as needed. 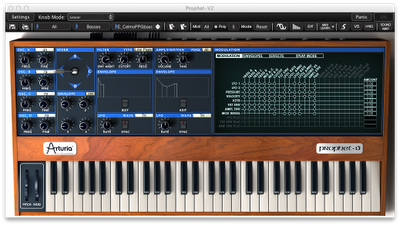 In addition to the original Prophet features and sounds, it also includes some of the features of the Prophet-VS, which was a later SCI digital synth with way different programming. I've hardly scratched the surface of what all that can do, and it's a considerably more complex piece of equipment, but it adds a lot to the tonal range of the Prophet-V2 through vector synthesis and new routing possibilities. 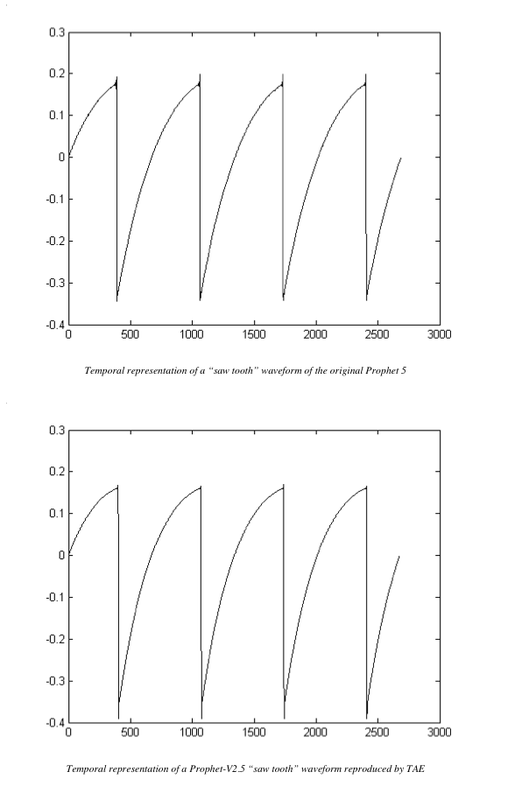 A comparison of the Prophet-V2's waves (bottom) to the original Prophet 5's (top). There are few downsides to this plugin. For one, there isn't an arpeggiator. Probably not deal breaking, but it probably would have been fairly easy to add. However, in the nature of keeping it like the original Prophet, I don't mind. The CPU hit may be an issue for some older computer users. My 2008 Macbook with 4GB ram shows on average 18% CPU use for full pads and about 4% use for basses. This is considerably better than it did with the Spark Vintage drums though. This is the newest version, so it's running in 64-bit for me, which is a huge help, and probably will be to all of you. 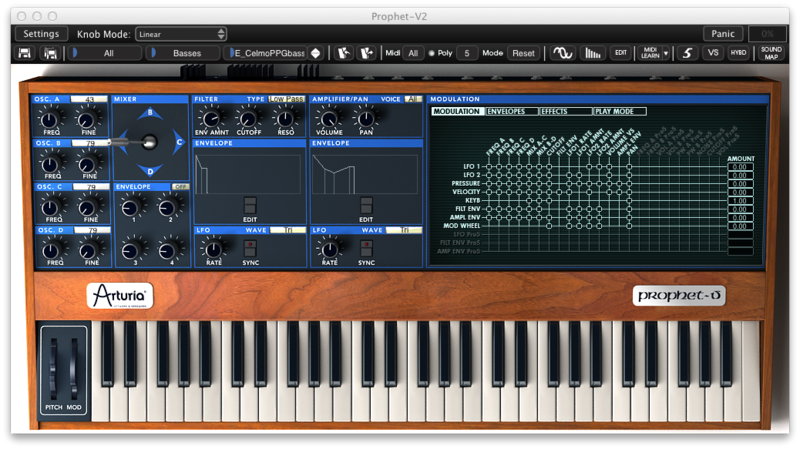 Overall, the Prophet-V2 delivers as a plugin, and at a bargain price now. While you may have rejected the idea of an expensive soft synth a few years ago, the $99 price tag takes away all the guessing-- if you love the Prophet (and don't have the real thing), you'll want this, hands down-- even if you plan on picking up the original in the future. To buy the Prophet-V2 now, or to see more information, click here.